For Intelligent Assistants (IA), user activity is often used as a lag metric for user satisfaction or engagement. Conversely, predictive leading metrics for engagement can be helpful with decision making and evaluating changes in satisfaction caused by new features. In this paper, we propose User Return Time (URT), a fine grain metric for gauging user engagement. To compute URT, we model continuous inter-arrival times between users’ use of service via a log Gaussian Cox process (LGCP), a form of inhomogeneous Poisson process which captures the irregular variations in user usage rate and personal preferences typical of an IA. 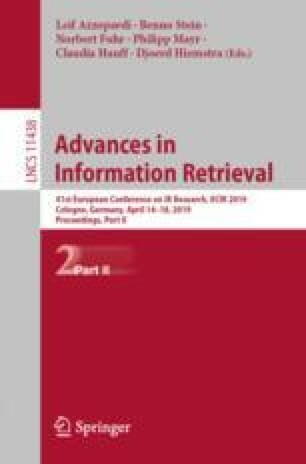 We show the effectiveness of the proposed approaches on predicting the return time of users on real-world data collected from an IA. Experimental results demonstrate that our model is able to predict user return times reasonably well and considerably better than strong baselines that make the prediction based on past utterance frequency.